Nick Mullen / January 14, 2019 / Comments are off for this post. Once fairly rare, joint replacements now seem to be almost a rite of passage among the older population. Given the growing popularity of joint replacement procedures, we thought it was time to take an in-depth look from the perspective of a physiotherapist. A joint replacement is a surgical procedure that removes the arthritic or damaged part of the joint and replaces it with a man-made prosthesis. These prostheses are designed to replicate the action of the joint they replace and, hopefully, resolve any symptoms the patient may have been experiencing. Why are joint replacements done? Lifestyle factors, such as exercise and nutrition. Body weight, which changes the amount of force transmitted through the joint. Biomechanical issues, such as favouring one side etc. Specific conditions, such as inflammatory arthritis or other joint disease. Ultimately, though, we will all experience some level of joint degeneration over the course of our lives. Importantly, the amount of degeneration associated with a joint isn’t necessarily correlated with the amount of pain an individual experiences. Some people can have joints which look extremely ‘worn’ when observed on scans (such as an MRI), but not experience any pain or limitations at all. Nevertheless, for some people with arthritis, joints can became immensely painful over time. Joint replacement surgery is a last resort attempt to relieve severe pain and subsequently improve function and quality of life. Ultimately, the goal is to make everyday tasks (such as walking, bending, sitting, standing, reaching, etc.) easier to complete. What are the most common types of joint replacements? A review of the statistics around joint replacements proves quite interesting. The Australian Orthopaedic Association National Joint Replacement Registry (AOANJRR), established in 1999 with the goal of enhancing the quality of care for individual’s undergoing a joint replacement, compiles information from all of the hospitals around Australia undertaking joint replacement operations. The table below shows the most common types of joint replacement surgery, and the number of completed surgeries each year for each joint. From the figures, we can see the broadly increasing trend of using joint replacement surgery as a management option in Australia. Note: The Registry wasn’t completely national until mid-2002 hence why the table starts from 2003. As you can see from the table, knee and hip replacements are by far the most common types of joint replacement. Why? Well, these joints bear a significant portion of our body weight throughout our lives. Every time we stand, walk, run, jump or squat, large forces are transferred through our hip and knee joints and, over the course of a lifetime, this takes its toll. Why the boom in joint replacement surgery? There are many reasons for the overall increase in joint replacements. One obvious consideration is the fact that we are, on average, living longer lives than we used to – there are simply more people living long enough to benefit from such a procedure! On top of this, the large ‘baby boomer’ section of the population has now reached the age where joint replacements are potentially of benefit. 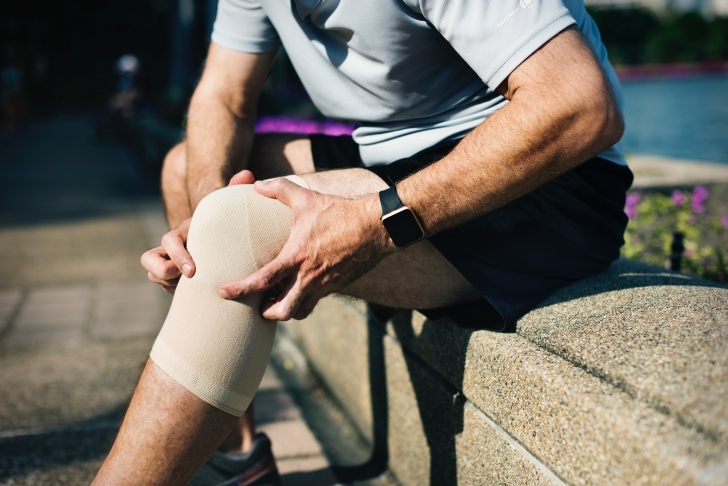 On top of the demographic tailwinds, there have been great advances in medical technology over the past two decades, meaning that current joint prostheses are more mobile, durable, and effective than ever before. Similarly, surgeons have become highly proficient in joint replacement surgery and the procedures are far more easily accessible than in the past. Do you actually need a joint replacement? The major concern with joint replacements is the tendency of patients and practitioners to seek a ‘quick fix’ without fully considering the available treatment options. Given the now-ubiquitous nature of these procedures, it’s easy to forget that a joint replacement entails quite significant surgery – and there are always risks with any surgical procedure. The Royal Australian College of General Practitioners recommends surgery should only be considered when there is confirmation of advanced disease and a continuation of severe symptoms despite optimal non-surgical (conservative) treatment. Options for conservative treatment include, but are not limited to, manual therapy (soft tissue therapy, joint mobilisation, dry needling, etc. ), progressive exercise therapy, weight loss, and medication for pain relief. Physiotherapists are the ideal practitioners to implement of some of these measures, and surgery should not be considered without trialing conservative management first. Most patients actually respond well to physiotherapy treatment and replacements can sometimes be avoided (or at the very least, substantially delayed). Is there pain present even when the patient is not doing any activity? Is the patient being affected psychologically? Are carers or family members being impacted? Has the patient’s condition been worsening? While the number of joint replacement surgeries being performed has dramatically increased, post-surgical pain still often persists. This has caused some to question the efficacy of joint replacement surgery. An example of this is that The Royal Australian College of General Practitioners strongly recommends against the use of arthroscopic debridement, meniscectomy, and cartilage repair for people with knee osteoarthritis unless the individual has mechanical symptoms of a locked knee. Thus, it becomes particularly important that each individual has attempted conservative interventions first prior to surgery. This will ensure that the number of unnecessary surgeries being performed is minimal. In support of this, The Royal Australian College of General Practitioners strongly recommends land-based hip and knee exercise, and weight management for the treatment of hip and knee osteoarthritis. Due to the traumatic nature of joint replacement surgery, immediate results generally include pain, stiffness, weakness, and swelling. Over the ensuing weeks, pain and swelling should decrease gradually, and range of movement and strength will improve. It is very important to commence rehabilitation (discussed below) as soon as possible. This will ultimately enable you to complete daily activities and tasks with greater ease. Physiotherapy is in a unique position to speed up the recovery process by targeting each of these areas with a combination of manual and progressive exercise therapy. When making your decision regarding whether or not to undertake joint replacement surgery, it is particularly important that you are properly educated regarding risks and benefits, outcomes, and need associated with that surgery. This will assist you in making an informed decision. Your physiotherapist can provide you with this information, as well as educate you regarding expectations and requirements post-operatively to ensure that you get the best outcome. If you have any questions, please do not hesitate to ask your physiotherapist. Prehabilitation is the work that you put in leading up to your surgery. 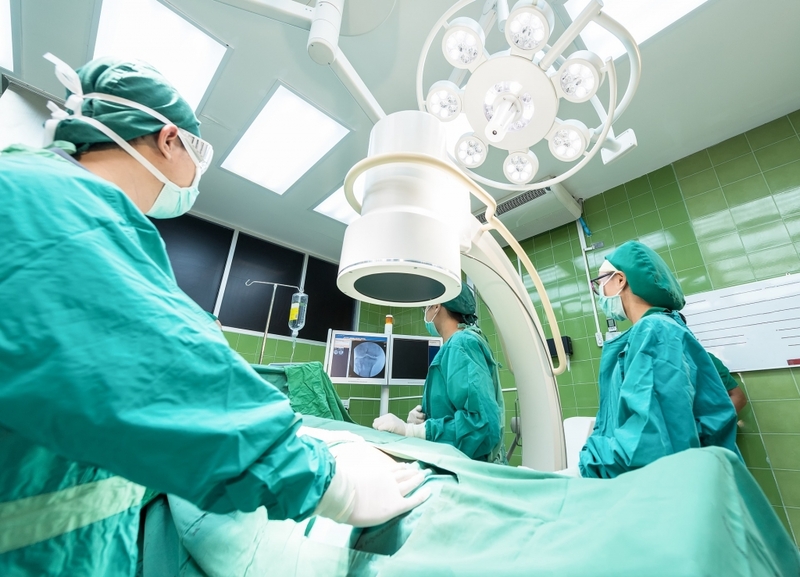 It is particularly important, as evidence shows the better you are leading into surgery, the better your likely improvements will be post-surgery. Even small improvements in strength and flexibility will likely improve your overall outcome. The prehabilitation phase is also an ideal time to record outcome measures leading up to surgery such as range of motion. Your physiotherapist can then compare these at certain points in time post-surgery to track your progress and make sure certain milestones are being met. Basic exercises and mobility aid practice that you will be required to do post-surgery can also be covered during these sessions. This will allow you to jump into rehab as quickly as possible post-op. It’s worth keeping in mind that patients opting for a joint replacement through Australia’s public system often face waiting lists of six months or more. A significant deterioration in strength and mobility can occur during this period, so don’t underestimate the importance of physiotherapy treatment prior to your operation. Initially rehabilitation will focus on pain and swelling management, and then improvements in range of motion and strength as able. Physiotherapy is particularly important during this phase to speed up your recovery and make sure you achieve an optimal outcome. Rehabilitation will be patient-and joint-specific but may include manual therapy, progressive exercise therapy, swelling management, gait re-education, and postural correction. Your physiotherapist will use a combination of techniques to come up with an individualised rehabilitation plan, guided by your needs and deficits, as well as the surgeon’s protocol. As a part of your rehabilitation, physiotherapy will also assist in avoiding any secondary complications associated with surgery. One common complication following surgery is joint stiffness and decreased range of motion associated with scar tissue and adhesion formation. This can result in a delay in recovery and an increase in pain. Your physiotherapist will be able to assist in breaking down the scar tissue and adhesions to help avoid the need for further surgery (e.g., manipulation under anaesthetic) if the desired range of motion outcomes aren’t being achieved. Another common complication post-surgery is when the muscles surrounding the joint waste away or ‘atrophy’. By having an understanding of which muscles are going to be affected by the joint replacement, your physiotherapist will be able to implement a progressive exercise program targeted at preventing the effects of muscular atrophy. It’s common for patients who undergo hip and knee replacements to report pain in other areas, such as the lower back. This is likely due to postural changes and biomechanical issues. Another problem frequently experienced by patients is that they compensate for their injury by overusing other areas of their body. For example, if the left hip or knee is affected, patients will tend to put a lot more weight through the right leg, potentially causing problems with the muscles and joints on that side. Your physiotherapist will analyse your biomechanics and give you strategies to ensure that you don’t have secondary complications with other joints and muscles. Physios may also prescribe equipment where it is necessary, such as crutches, orthotics, or braces. One potentially serious secondary complication post-surgery is the formation of a clot, or deep vein thrombosis (DVT). Your physiotherapist will be aware of the signs and symptoms of DVT and take the appropriate measures if suspected. Whether it be your own, or man-made, all joints have a certain life expectancy before they deteriorate. Only through appropriate conditioning of the muscles supporting the joints can we assist in maintaining joint health, which in turn will maintain your own mobility and independence. Your physiotherapist will be able to identify any imbalances and implement a program targeting at correcting these. Overall, this means that your joint will be in the best possible environment to function, thus prolonging its life and reducing the risk of something going wrong. Royal Australian College of General Practitioners. Referral for joint replacement: a management guide for health providers. South Melbourne: RACGP, 2007.